"Darkness reigns at the foot of the lighthouse." When it comes to haunted structures, haunted lighthouses are among the most popular type throughout the world. It seems that these structures make the perfect setting for ghostly tales and mysterious unexplained phenomenon. This is a special type of structure that is constructed in the form of a basic building, a large tower, or other basic type of architecture. At the top of the structure, a large, powerful light is put into place. In some instances, a large variety of lights are placed at the top in order to act as one, powerful light. In periods where natural light is limited, the light is emitted from the top of the structure in order to assist in guiding navigational leaders that are traveling on water to land. However, throughout the years, paranormal investigators have determined that it does not appear that the living are the only ones attracted to the lights of these magnificent structures. When it comes to real haunted places in America and other countries around the world, haunted lighthouses seem to be the most abundant. There are likely several different reasons for this. The first reason is that three quarters of the earth is covered with water. This means that there are several different lighthouses lining the coasts of the world. Second, many lighthouses are extremely old structures that have a long history of keepers and other stories associated with them. Third, many lighthouses mark coastlines that are considered dangerous in one way or another which means that many tragedies have occurred in and around these structures. 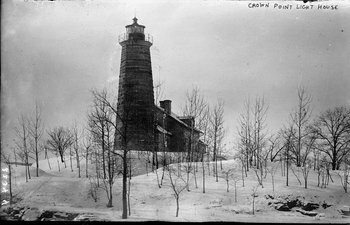 Regardless of the reason for such elaborations on the ghost stories that surround haunted lighthouses, the stories are true to those that share them and have been investigated for many years. In many of the investigations, paranormal experts have gathered evidence of the hauntings. The evidence gathered includes ghost pictures, ghost videos, ghost sounds, and several other types of documentation. It seems that the ghosts of the past are interested in sharing their stories with the living souls of the present. Throughout this section of Greatest Unsolved Mysteries, you will be introduced to many of the haunted lighthouses of the world. You will learn about the history of many of the structures, the stories associated with the hauntings of the structures, as well as any witness accounts to the ghostly tales. Do the lighthouses of the world light the path to the spiritual world? This continues to be one of the greatest unsolved mysteries of the paranormal world. When it comes to haunted places in Florida, this particular lighthouse is considered to be one of the most popular.